Santa Barbara, CA 93106, U.S.A. The program “Nanostructures and Biomaterials: Macromolecular Bridges between Physics and Biology” is a joint effort for efficient knowledge transfer and sustainable networking of the Center for NanoScience (CeNS) at LMU Munich and the Californian NanoSystems Institute (CNSI), Santa Barbara. The idea is to teach world class nanoscience for graduate students by an innovative, peer-to-peer training approach and by taking advantage of local expertise and facilities. The scientific aim of this exchange is to introduce the students into new research concepts to self-reliantly achieve a thorough understanding of complex nanomaterials and biomolecular systems. Leading experts of biotechnological analysis will give insights in their latest research on a wide variety of biomaterials and will provide, together with their students, individual lab projects for the visiting scholars. A complementary focus of the program will lie in discovering novel concepts for the construction of composite and hybrid biomaterials that display unprecedented optical and mechanical properties. The challenging scientific program will be realized by an unusual teaching concept: First, a group of ten selected PhD students from CeNS will visit CNSI in spring 2012 (March 19 – April 6), where they will be hosted individually by the Californian students. A corresponding student group from CNSI will then visit CeNS in fall 2012 (September 10 - 28), with switched hosting roles. Each visit will include two weeks of lab rotations and one week of lectures, organised as a thematically focused symposium with invited speakers. During the lab courses, each participating graduate student will present his experimental set-up and own favorite experiment in a two-day course to the visitors. The visiting students can choose between different lab courses according to their research interests, such that teaching can be performed on a very individual basis. This will guarantee efficient knowledge transfer and strongly enhance networking between the junior scientists. The major mission of the JNN 2012 was to organize the supportive networking atmosphere for German and Californian PhD students to exchange research experience in Nanoscience and to create a basis for potential scientific collaborations. The first part of the “Wolfgang Hillen Summer School” - Junior Nanotech Network (JNN) 2012 was coordinated by the members of the California Nanosystems Institute (CNSI. It was held from March 19th to April 6th at the University of California, Santa Barbara (UCSB), beautifully located along the scenic coastline near the "American Riviera". 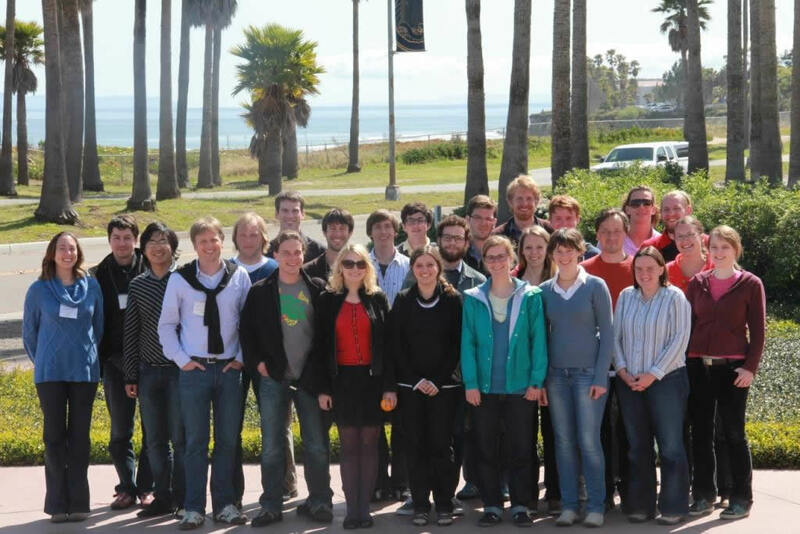 Ten doctoral students from the LMU Munich, TU Munich and the University of Augsburg could equally enjoy the vivid scientific atmosphere and high-quality research environment at UCSB as well as spectacular views on the Santa Ynez Mountains and the Pacific Ocean surrounding the university campus. The program included an experimental part, in which the German PhD students chose scientific modules of interest and hands-on participated in the projects carried out by the UCSB students. Each module was designed to have a theoretical introduction to the ongoing project and the set of experiments to test the proposed scientific hypothesis and see the state-of-the-art equipment. The students could get the perspective of the variety of possible projects in different fields of nanotechnology: learn such techniques as micro- and nanofluidics and optical tweezers, DNA nanotubes and DNA origami, design RNA-based nanorings and test DNA-based biosensors in vivo, synthesize the polymers for the artificial membranes and much more. All students presented their own research projects during a one week symposium at CNSI and got feedback on their obtained results from renowned professors of UCSB and LMU. In addition, they also heard invited talks from different speakers. Apart from the vivid scientific interaction during the symposium, the students and the professors could socialize during coffee and lunch breaks and discuss such essential topics as career planning and women in science in a relaxed and friendly atmosphere. Of course, the students also had a chance to enjoy the pleasant climate of California and tasted Californian wine at famous wineries, hiked in the spectacularly beautiful Channel Islands National Park, enjoyed the stunning views along the coastline of Big Sur, and visited Monterey and Los Angeles. During the second part of the “Wolfgang Hillen Summer School - Junior Nanotech Networ”k (September 10-28, 2012) ten PhD students from the University of California Santa Barbara visited the Center for Nanoscience (CeNS) in Munich. After a Bavarian welcome breakfast on their first day, the students visited most of the involved labs at TUM and LMU and decided on their lab projects in the upcoming weeks. The first week in Munich was then dedicated to lab rotations: small groups of two or three Californian students visited their German hosts in and performed hands-on experiments in the labs on topics such as thermophoretic quantification of biomolecule concentration and affinity, live recording of the conformational dynamics of single proteins by FRET, Single molecule cut and paste techniques and much more. The second week brought another highlight of the program: All students took part in the CeNS workshop “Nanosciences – Soft, Solid, Alive and Kicking” at Venice International University on the beautiful island of San Servolo. About 130 participants gathered to listen to 27 top-notch speakers representing the whole diversity of nanoscience research. The students presented their projects in two poster sessions. In addition, there was ample opportunity for discussions with speakers and other participants during lunch and coffee breaks in a charming Mediterranean atmosphere. After their return to Munich, the students continued with their second week of lab rotations and used the opportunity to learn about very different topics at LMU Physics and Chemistry Department, TUM Physics Department and Medical Faculty, Deutsches Museum or the University of Augsburg. Beside the scientific program, the Californian students also enjoyed a guided tour through the city of Munich, a barbecue with students and supervisors, a tour through the New Technologies Center at the German Museum, a trip to Neuschwanstein, the vivid atmosphere of the Oktoberfest and a dinner in a typical Bavarian restaurant. Strong ties between German and Californian students were established not only by these educational and social activities but also by the unusual housing concepts, since private accommodation for all guests was provided by the host students. 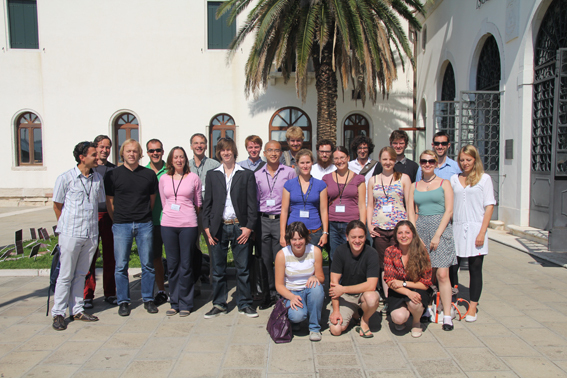 The 2012 Wolfgang Hillen Summer School was a true scientific as well as social success for all participants and will certainly contribute to deepen existing collaborations and to establish new co-operations between CeNS Munich and CNSI Santa Barbara.